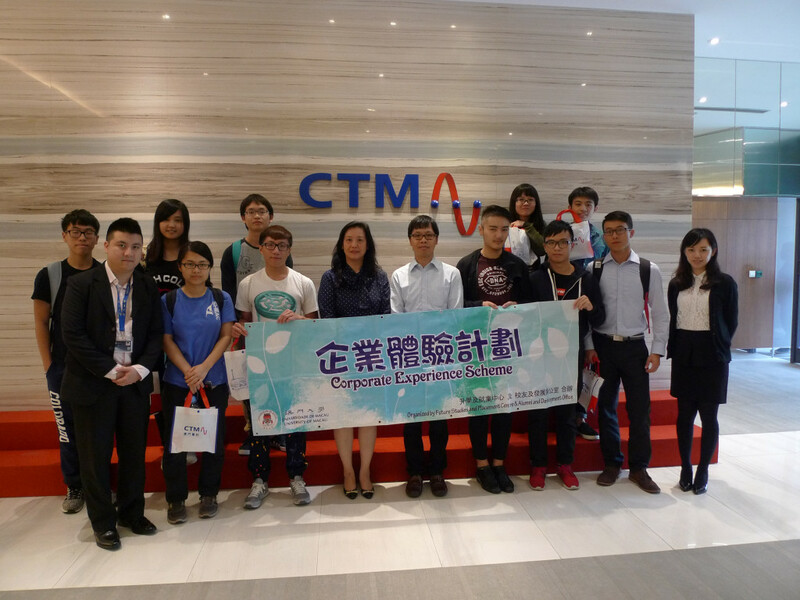 The Alumni and Development Office (ADO) and the Future Studies and Career Centre of Student Affairs Office co-organized “Corporate Experience Scheme – Chat Hour” to visit CTM with more than 15 students on 4 November afternoon. 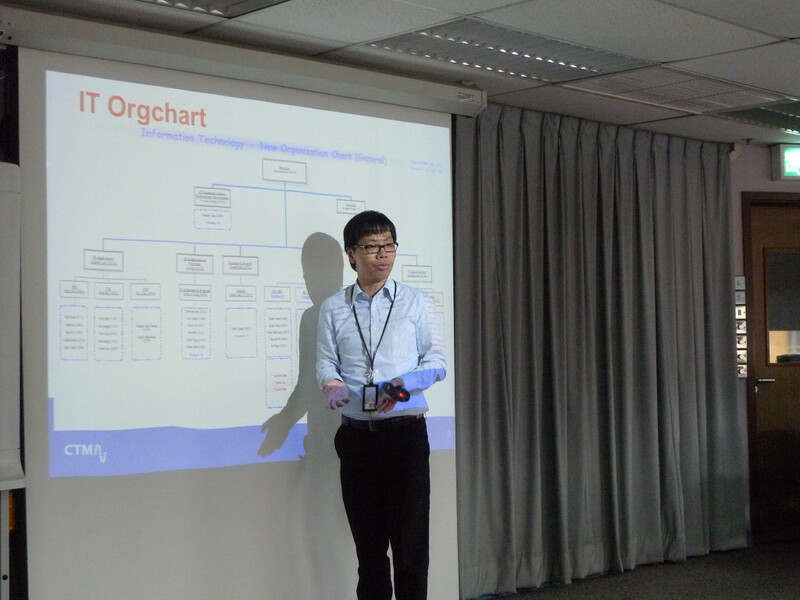 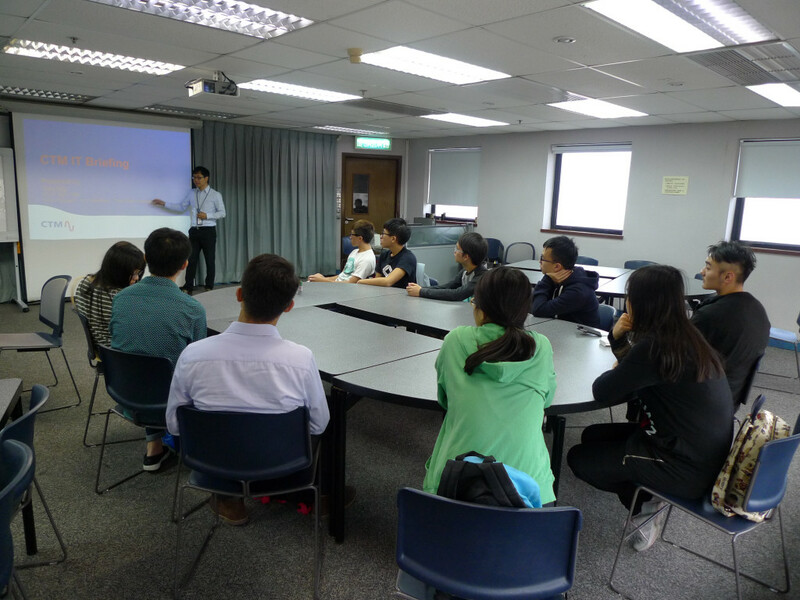 UM alumnus, Mr. Ng Man Kin (Class of 1997, B.B.A in Management), Senior Manager of IT Infrastructure of CTM, was invited to be the guest speakers for the “Chat Hour” and shared his working experience with students. 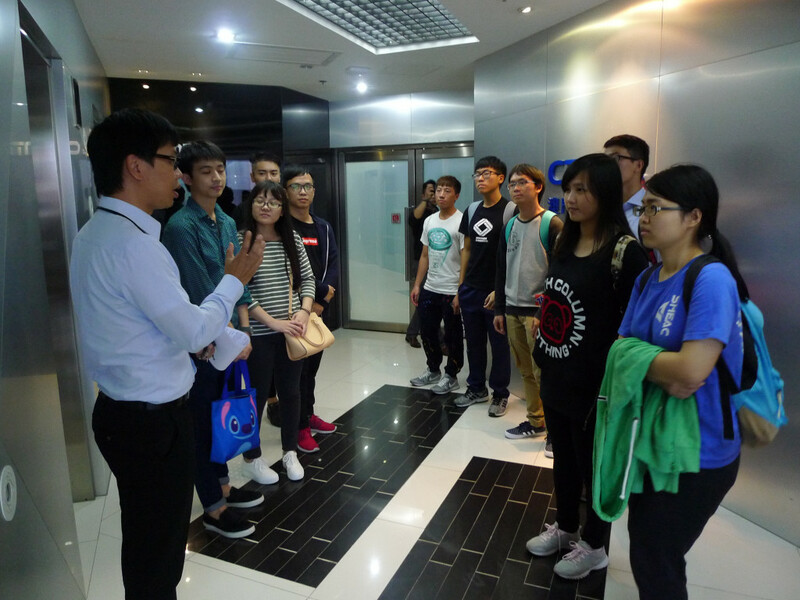 Alumnus Ng guided the students to visit the largest IT Data Center of the industry and introduce the operation of the data storage system and its importance to the corporate. 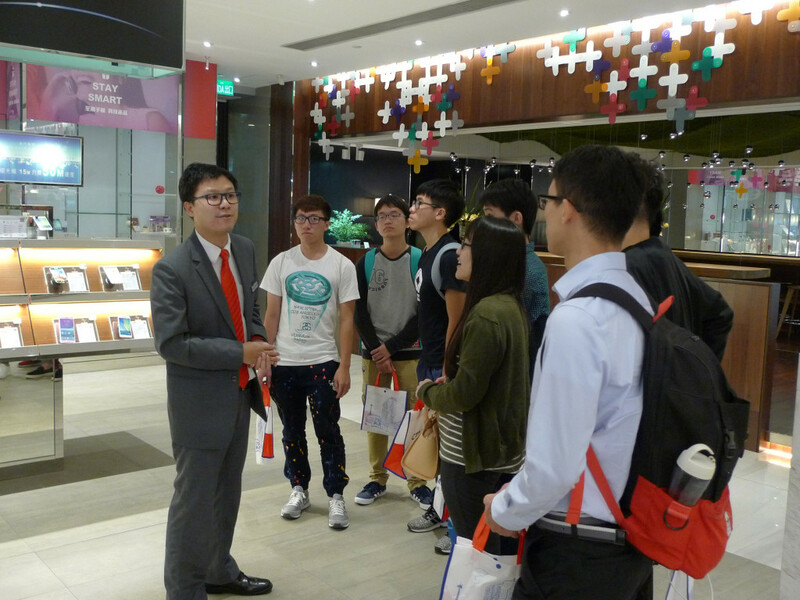 After the tour, he shared his career insight and experience with the students and encouraged them to cherish each learning opportunity and be equipped to meet challenges. 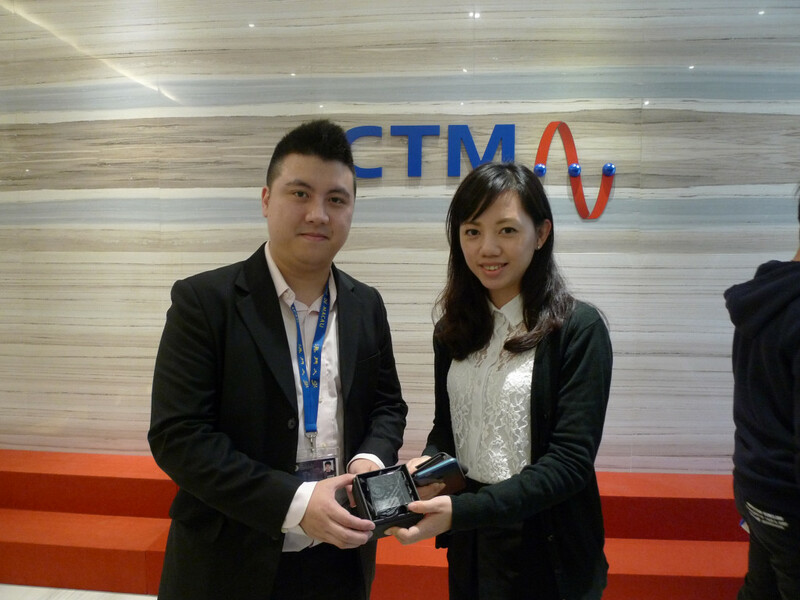 The sharing was followed by a briefing session by Ms. Vivian Chan, General Manager of HR of CTM who introduced the corporate structure, business scale of CTM, staff training and job requirements. 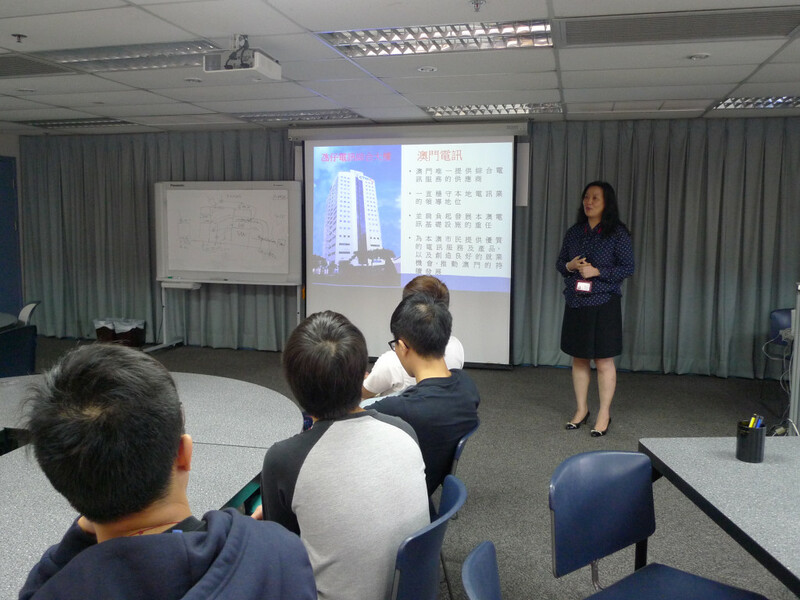 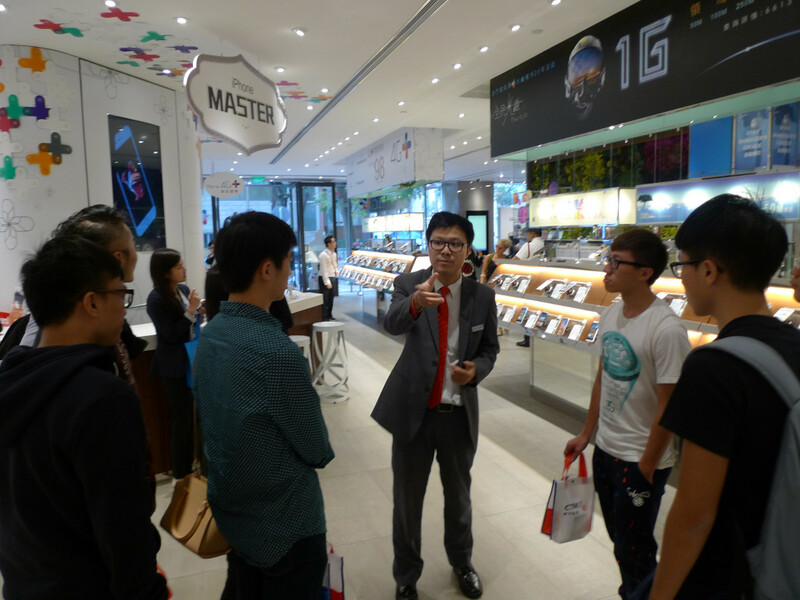 This helped students to have a better understanding of the company and the requirement of entering the industry. 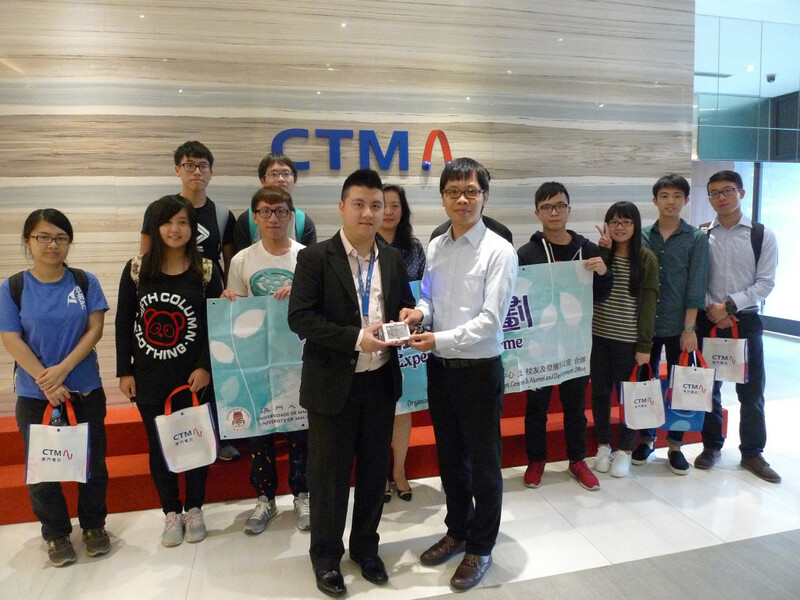 A group photo was taken afterwards and the visit was concluded in a warm and harmonious atmosphere.